1. Preheat oven to 200c/Gas 6. 2. Cut the potatoes into large wedges (do not peel) and place into a bowl. 3. Add remaining ingredients to the bowl and mix well. 4. 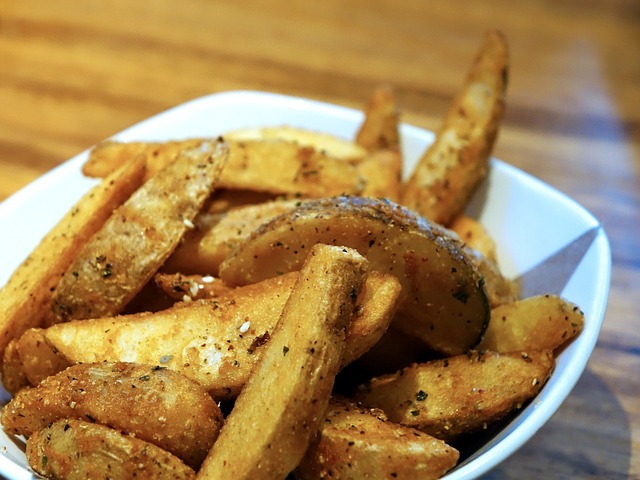 Place potatoes onto a baking tray and cook in the oven on the middle shelf until golden-brown, turn every so often so the potato wedges cook and brown evenly. Cook for approx 45 minutes, may require longer in some ovens. Serve and enjoy.